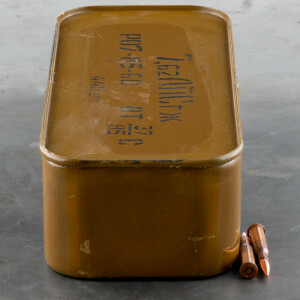 Full metal jacket 7.62 x 54 Russian ammo (aka 7.62 x 54R) is a rimmed, bottle-necked, .30 caliber, rifle cartridge originally designed in 1891 for use by the Russian military in the Mosin-Nagant Model 91 bolt action rifle and it remained the standard Russian service cartridge through WWII. 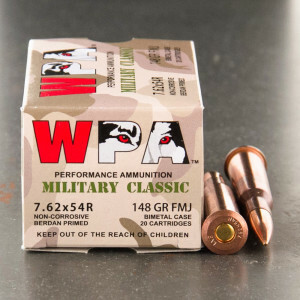 Loaded with Full Metal Jacketed bullets (aka FMJ), this cartridge gives reliable loading and maximum penetration of targets. 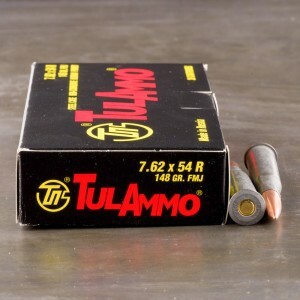 Also, due to its ease of manufacture, the full metal jacket bullet is relatively cheap and thus, it makes an excellent choice for target shooting. 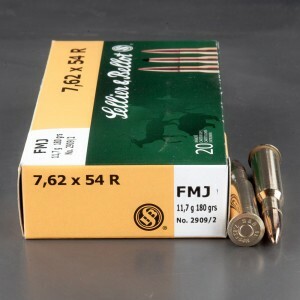 Plus, with no exposed lead tip, FMJ bullets will not cause lead fouling in the barrel. 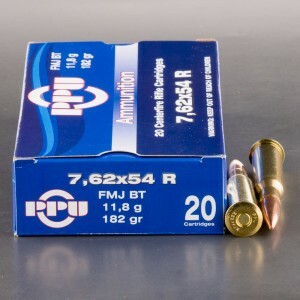 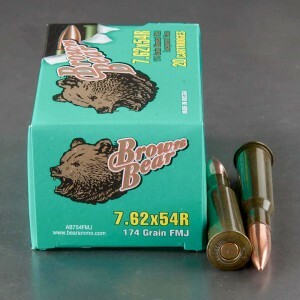 Great price, fast service, good ammo. 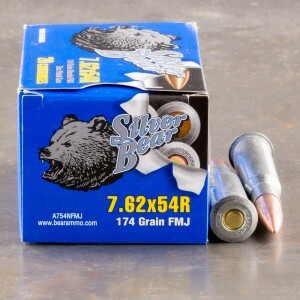 Shot great through my Type 53!